This PL-150 Dual Flash from Polaroid has full Sony/Minolta ADI / P-TTL dedication, plus a continuous LED light, making this an ideal light if you're shooting still photos and video, since you don't need to switch back and forth between flash and continuous light. The flash has a guide number of 138' at 85mm and ISO 100, and it will accept light modifiers like diffusers and reflective panels. 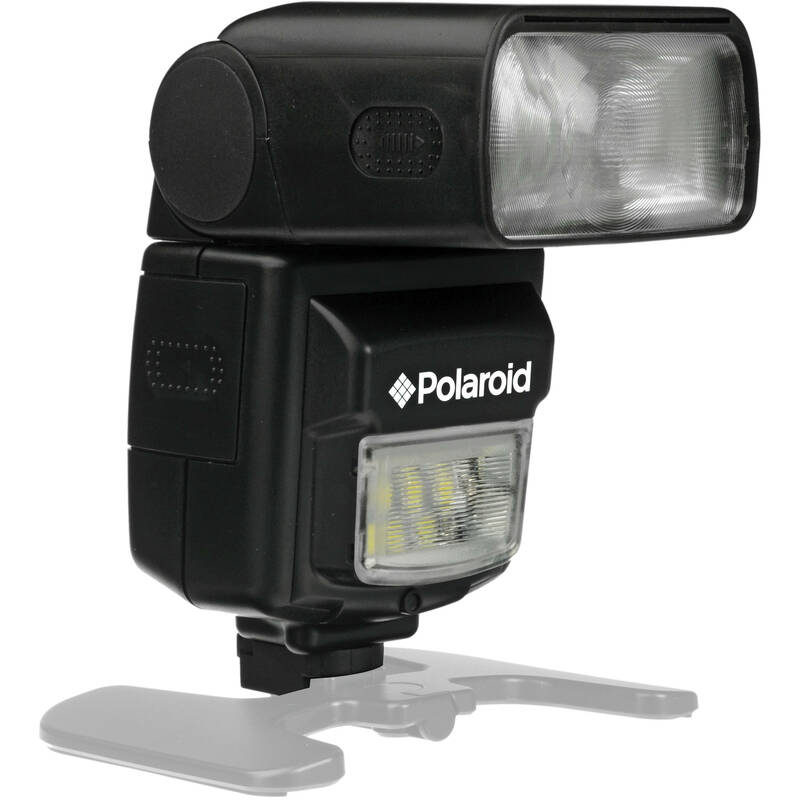 The flash head tilts and swivels and features a manual zoom function. Recycling time is between 0.5 and 8.0 seconds, depending on the power setting. An auto sleep mode means less charging time and more shooting time. The Dual Flash operates on 4 AA batteries. Box Dimensions (LxWxH) 8.4 x 4.6 x 3.1"